In this activity, students first take part in an in-class hands-on activity on the impact of an oil spill and the remediation process. Students must first figure out how to clean up a modeled spill. 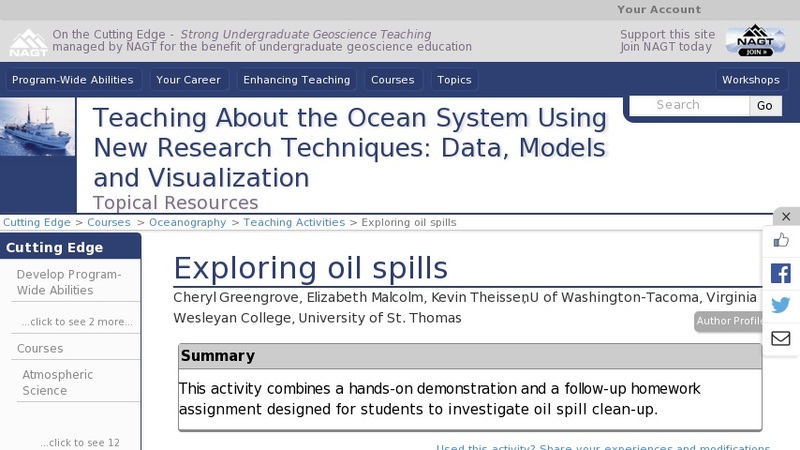 Students then are given a homework assignment where they use web resources on large global oil spills and they must come up with a statement of the potential impact in different ocean environments. (wetland/estuary, rocky, high-energy, open ocean).